It may be time for Dove's award-winning and groundbreaking Real Beauty campaign to come to an end. Dove has been challenging female beauty standards for more than a decade, winning numerous accolades along the way, and while the message remains strong, the brand’s latest push is quite the opposite. 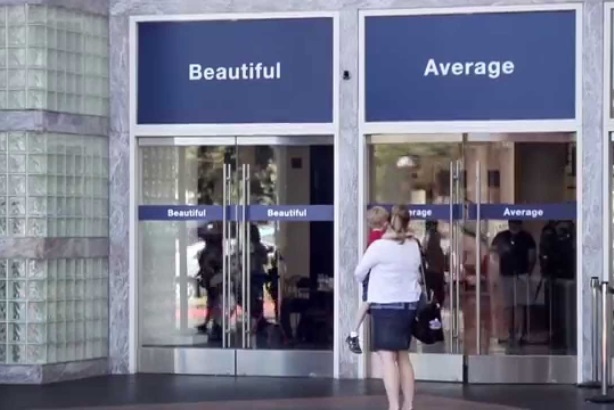 Last week, the Unilever brand launched a video of women choosing between two doors to walk through – one labeled "average" and the other "beautiful." The short film, which was shot in five countries and created by Ogilvy & Mather Chicago, was meant to inspire women and help them realize they’re more than average. A number of articles have come out in the last week criticizing Dove for making women in the video label themselves as beautiful or average. Opponents believe the brand is doing exactly what it set out against: making women define their beauty. Having people choose between the average and beautiful door is a way for the brand to showcase how women view themselves and their self-esteem. Some critics say the brand should have had other doors, such as funny or intelligent, but to me, all of those characteristics are comprised in beauty, which is why having two labels worked. Where it fell short, however, was in its execution. The video, regardless of whether or not it included actresses, came across staged and humdrum. It looked more like a marketing project (which, of course, it is), than any of its previous, more genuine-feeling Real Beauty efforts. The concept for the video is fine. Not amazing, surprising, or eye-opening, but fine. Putting aside various reports that have surfaced questioning the authenticity of the "real" women in the ad, the video itself is dull and predictable. It lacks the touching, heartfelt moment the brand successfully elicited from its Real Beauty Sketches video two years ago, which shows a forensic artist drawing women according to their own self-descriptions and a stranger's. Sketches not only turned heads at the 2013 Cannes PR Lions, it became one of the most-watched online commercials of all time. And that’s probably because it was different and unexpected, unlike the new film, which leaves little guessing room for the storyline’s progression. When Dove kicked off its Real Beauty campaign in 2004, it was groundbreaking and innovative, featuring real women in its ads rather than models. A few years later, the brand partnered with the film The Women to develop a short behind-the-scenes video titled The Women Behind ‘The Women.’ As Dove’s ongoing initiative progressed, its efforts evolved while maintaining the same level of creativity along the way – until recently. And as the campaign turns 11 this year, it will only get harder to keep it fresh and exciting. Dove’s long-term dedication to changing the way women perceive beauty has been outstanding, but it may be time for the brand to either put an end to the campaign or get back to its authentic, imaginative roots. If it continues becoming stunt-like and clichéd, the brand’s overall message will lose its effectiveness and value.